The first instrument designed for the single task of bio-imaging. Until now traditional laser ablation instruments were developed for a wide range of applications and were not designed to handle the rigors of bio-imaging. Bio-imaging requires lower fluence, better stability and superior sample transport. 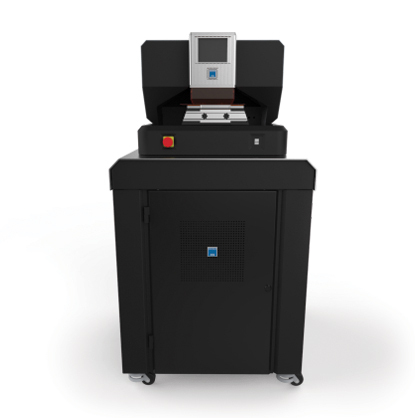 The NWRimage is designed for the sole task of high resolution, high-speed bio-imaging by LA-ICP-MS. Stability over billions of laser shots encountered during bio-imaging applications with a high frequency, Diode Pumped Solid State laser source. High resolution elemental analysis down to 1×1 micron by employing ESI’s unique XYR shutter. Up to 65×65 microns for lower resolution analysis. Ultrafast washout times (<20ms) which enables laser frequencies of 50Hz to be employed with baseline resolution, and efficient aerosol transport even for 1 micron ablations through ESI’s Bloodhound equipped TwoVol2 ablation cell. High magnification sample viewing with an optional turret based objective lens system. Achievable resolution ~500 nm with optional sub 1 micron ablation mode.